New York City—When Time Warner Cable became Spectrum, the company promised a new deal for consumers and small businesses. But the new corporation launched an assault on its employees. One of the striking workers outside a Spectrum office in midtown Manhattan explained that they had gone out on strike at the end of March because the new corporation was slashing pension and health plans, and because the workers had not had a union contract since 2013! The combination of lack of a contract and the new cutbacks had left the workers no choice but to strike. 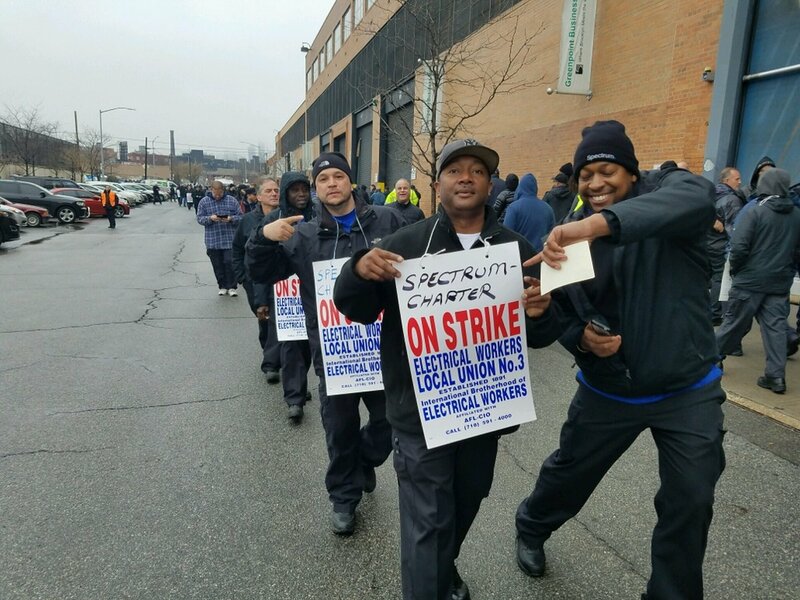 Three months into the strike, a strike captain with the International Brotherhood of Electrical Workers at a Spectrum store in Manhattan told News & Letters that Spectrum management has drawn a line in the sand and is refusing to negotiate with the union. They are hiring replacement workers and bringing in scabs. But the union is hanging just as tough and has no intention of backing down. At the picket line, strikers and allies from other unions chanted “What do we want? A contract! When do we want it? Now!” Over 20 picketers circled in front of the Manhattan Spectrum center bringing the strike to the attention of the public and appealing for support. The union is putting pressure on city government to revoke Spectrum’s right to provide services here. There is no end in sight to this titanic battle. Earlier in the year, the New York State Attorney General, Eric Schneiderman, charged Spectrum and its parent corporation with deliberately deceiving consumers about their services. This entry was posted in Articles and tagged Eric Schneiderman, International Brotherhood of Electrical Workers, labor, labor unions, Natalia Spiegel, Spectrum, strike actions, Time Warner, workers. Bookmark the permalink.